Nashville, Tenn. (December 5, 2011) – Capella Healthcare and Saint Thomas Health have signed a Letter of Intent (LOI) to create an innovative venture that will improve healthcare throughout Middle Tennessee and Southern Kentucky, officials announced today. Based in Nashville, Saint Thomas Health includes five hospitals affiliated with Ascension Health Ministry, the largest Catholic system and the largest non-profit in the United States. Capella Healthcare, based in Franklin, operates 15 hospitals in seven states, including five in Tennessee. The pending partnership will result in the joint ownership and operation of Capella’s four Middle Tennessee hospitals and potentially additional healthcare facilities in a 60-county area of Middle Tennessee and Southern Kentucky. 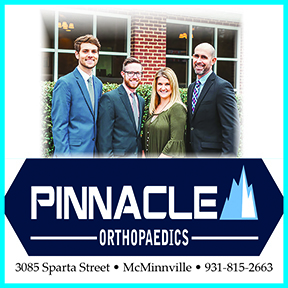 Capella hospitals included in the joint venture are River Park Hospital in McMinnville, White County Community Hospital in Sparta, DeKalb Community Hospital in Smithville and Stones River Hospital in Woodbury, all in Tennessee. These hospitals will operate as part of the Saint Thomas Health Network, which will hold an equity interest. In addition, Saint Thomas Health will become the tertiary care partner for the hospitals within the new venture. Capella will be the managing member and the majority partner in the new venture, and under the agreement, Capella will be the exclusive development partner for Saint Thomas Health across Middle Tennessee and Southern Kentucky. The LOI was formally signed today by Dr. Schatzlein and Slipkovich at the Saint Thomas Health Network Service Center. Officials expect the new partnership to begin operations on or before March 1, 2012, subject to customary closing conditions, including due diligence, further negotiations and execution of definitive agreements.